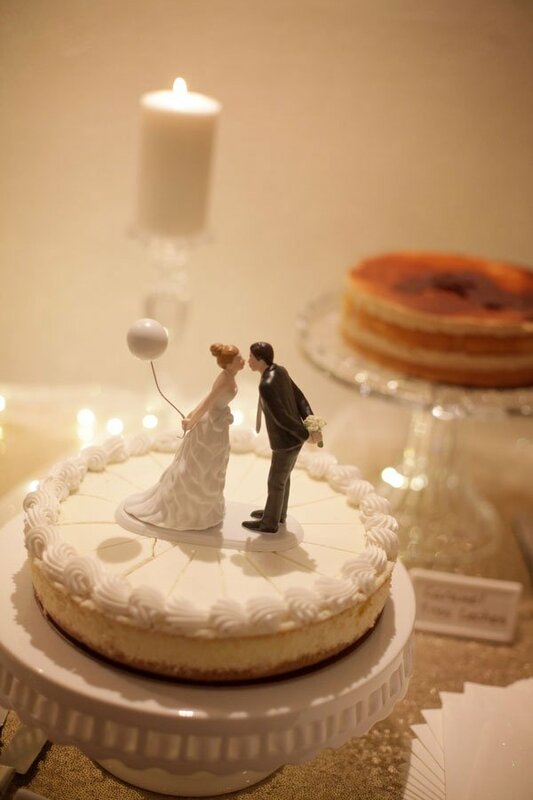 Wedding planning can be a frustrating time, especially when it comes to your wedding budget. Chances are this is one of the most expensive days or nights you’ll plan in your life, and with that comes a ton of pressure and questioning around what you SHOULD spend money on and what you SHOULD save on. While there are few right and wrong answers for an event like this (after all, it’s YOUR event and YOUR day, and you can do what you please! ), there are some tried and true recommendations that can help you along the way. I’m the first to admit that I’m a bit of a cheapskate when it comes to certain things (and a bit of an over-spender when it comes to others), but I’ve learned over the years, for the most part, what makes sense for me to spend money on and what makes sense for me to save on. Since this will be different for everybody it’s hard to impart advice, but it’s something I recommend you think about before you start the wedding planning process. I thought about MY priorities when it comes to wedding planning, and compiled them into the list, below, to hopefully help those of you who are looking for some (any!) direction.The important thing to remember when reading this is that even if these prices are NOT in your budget, the recommendations of what you could spend or save on still stays the same. The prices below are a reference for you to see what you can expect to spend in certain circumstances, and what you could possibly save on if you went another route. Do you have any questions on wedding budgets or what to spend and save on? Let us know in the comments section below! I love flowers as much as the next person, but I’m also a firm believer that a little can go a long way. I am personally not a fan of spending money on tall arrangements that look like planets hovering over a reception table (you know the ones), and while I LOVE those ethereal arrangements you’ve most likely seen on every wedding site (including mine), I also think that in the right setting, a simple arrangement of hydrangeas or garden roses in a rustic vase can look just as nice. If you’re analyzing your overall wedding budget and the thought of spending $3,500-$5,000 on flowers is making you nervous, I suggest going a simpler route: First, decide on the overall look you want when it comes to your wedding flowers. Pin like crazy (you can check out our Wedding Flowers board) and then seek out smaller florists whose work you don’t see everywhere. These are the vendors who are most likely looking to build their portfolio of clients and who not only have lower prices, but might be more open to negotiating. Show them the types of arrangements you like, and then ask if they can create a sample centerpiece for you. Chances are there will be a fee for this arrangement (you can take it home after or bring it as a hostess gift if you’re going to a dinner party), but it will give you a better idea of whether or not they are able to execute your vision. 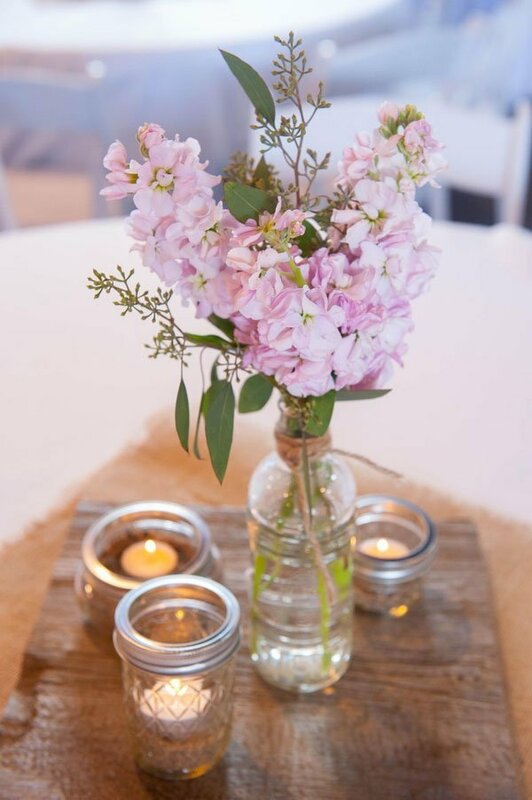 Your other option is to DIY your wedding flowers with a retailer such as Costco, or go with a local grocery store who can create and deliver the arrangements for you. We recently discovered how surprisingly afforable Whole Foods wedding flowers prices are and would recommend visiting them! While a $500 wedding cake won’t be your biggest ticket item, the real savings comes from NOT going overboard when it comes to other desserts. Adding speciality desserts can add another $1,000 and up for a 125 person wedding, and while we all love the idea of a fun dessert table, let me fill you in on a little secret: Most people won’t even see it. Yes, I hate to sound harsh, but the majority of wedding guests are too busy dancing to even enjoy your wedding cake or dessert. Having a wedding cake alternative or a simple wedding cake will save you beaucoup bucks, or you can opt for an amazing wedding cake design and keep it at that! I definitely love having some bubbly at a party, but by serving a champagne alternative you’ll be able to enjoy the sparkles without the money guilt. 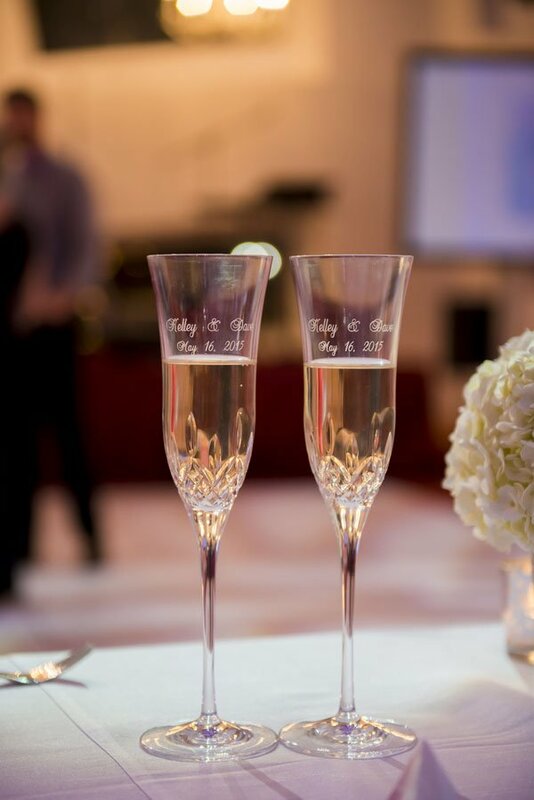 And while I think having a wedding toast is great, I have an idea for you that I used at my own wedding: Ask guests to raise their glasses so they can toast with what their drinking instead of having a separate champagne pour. The reason I think this option ends up working so well is because chances are by the time the wedding toast comes around you’re already seated at the reception tables and drinking your beverage of choice for the evening. It will save you money and guests will never notice. 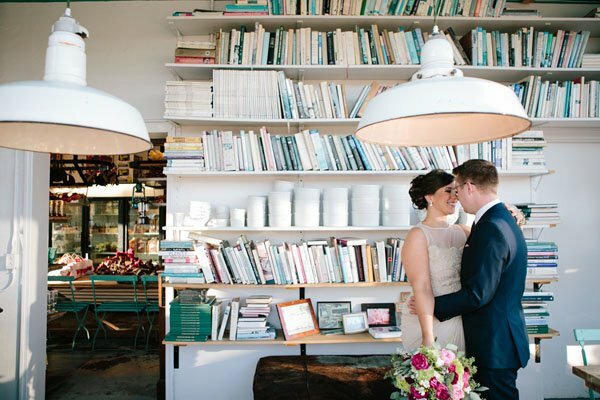 Thanking guests for coming to your wedding is an amazing thing to do (and you should!) but it’s easy to go overboard. 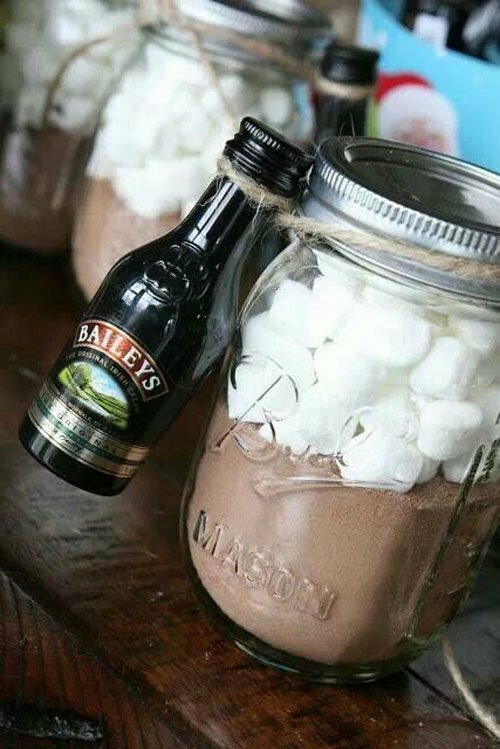 This is an area that I highly recommend using any DIY ideas that you might have to create something personal and homemade (one of my faves is the homemade adult Hot Chocolate mix, above). I love making mix CD’s for guests of your favorite music from the night (though I feel like CD’s are getting more and more outdated! Lol), or if DIY is not your thing, search for wedding favors under $3/each. You can check out our favorite wedding favors on a budget here. While you can DIY your wedding invitations or simply send out an electronic version to REALLY save money, I’m somewhere in between. 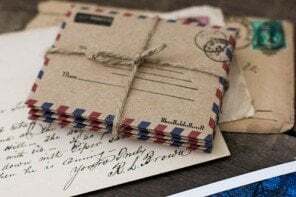 I do think that you should spend time on creating a gorgeous wedding invitation because I think it sets the tone for your wedding, but there are ways to get your wedding invitation cost down. 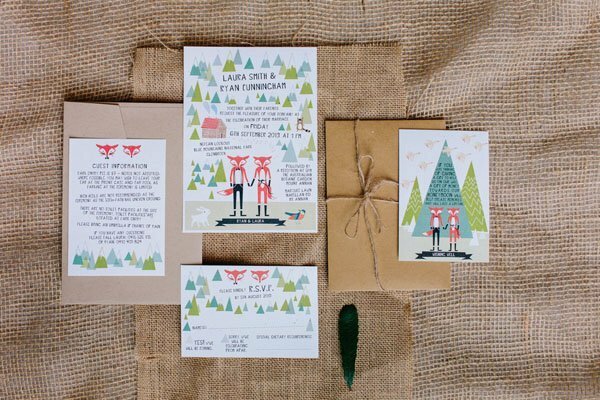 Online invitation sites like Wedding Paper Divas and Minted have made it extremely easy to find gorgeous wedding invitations on a budget, and Etsy is another personal fave. 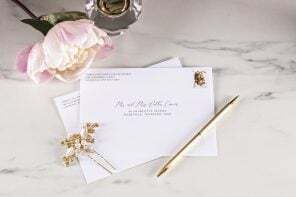 If you do want to DIY your wedding invitations consider using an existing wedding invitation template so you can still have the professional design element but be able to customize them further for less money than, say, a boutique stationary store (online or brick and mortar). There are definitely ways you can SAVE once you’ve picked out your dream wedding photographer (read more about 9 easy ways to save at your wedding here), but the key is to pick out a wedding photographer who doesn’t market themselves as being a “budget” photographer. You know the ones! 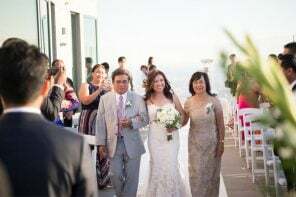 While amazing wedding photographers like Jose Villa are out of a lot of people’s budgets (mine included), there are so many outstanding ones for half the price that are very, very, worth it. I would aim to spend $3,500-$5,000 on your wedding photography if you have the budget (and this all depends on your location, too. A great photographer in your area might be closer to $2,000). And if not I would consider cutting other items (like the ones above) to make it work. That’s not to say that if you DON’T spent thousands on your wedding photographer you’re going to get sub-par photos. Just keep in mind that a lot of bride favorites tend to be in that range, especially in big cities. If I had to spend money on only three things at a wedding, it would be the wedding venue, wedding photographer, and wedding DJs. 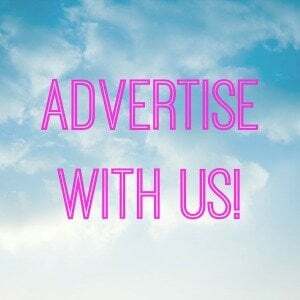 All the open bars in the world will not save your party from a terrible DJ or singer, so plan on picking a DJ or band that is HIGHLY recommended here or on sites like Wedding Wire or Yelp. I would also ask to listen to sample recordings of their mixes (if they’re a DJ) or songs (if they’re a band). That way you can be sure you’ll end up with an Adam Sandler and not a Jon Lovitz (if you’ve never seen The Wedding Singer, just disregard that analogy!). You have two options when it comes to wedding planning help: You can hire a wedding planner who will be with you every step of the way, or you can get a month-of or day-of wedding coordinator to make sure everything goes as planned. Of course you can skip both, but if I can impart any advice it would be to do yourself (and your nerves) a major favor and opt for one of them. I chose a month of wedding coordinator who did everything from go to the tasting with us (so she could be familiar with the pacing of the menu) to finding us great deals on linens and chairs and coordinating our wedding rehearsal and ceremony and making sure every vendor was there an on time. She was a LIFESAVER. 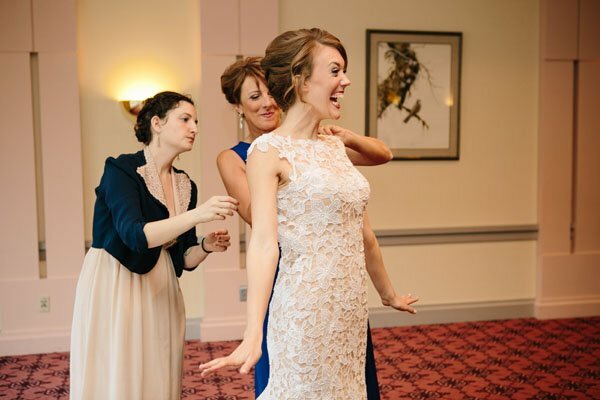 If you don’t want to think about anything but the guest list and your wedding dress and showing up for the big day, and if saying “Yes” or “No” to items (vs. spending hours trying to figure out what to say “Yes” and “No” to), then hiring a wedding planner from day 1 would be your best bet. Splurge: 10%-20% of your budget for a wedding planner, and half that for a coordinator depending on amount of time you opt to have them for. Read more about Wedding Planners vs. Wedding Coordinators here. You don’t have to serve filet mignon or lobster at your wedding to have guests rave about the food (tacos can be JUST as delicious, if not more so). But farm-to-table and simple yet refined dishes will go a long way in making your “dinner” party (aka a reception) a success. Instead of chicken opt for less expected options such as fish, which can often cost the same. And instead of using, say, roast beef, opt for more modern cuts of beef being used in great restaurants today (like short ribs!). Organic ingredients might cost you a bit more money, but chances are a caterer using them will be more up-to-date on food trends and your dinner will dispel that myth that weddings have terrible food. Splurge: Expect more modern catering to start at $100/pp and up. 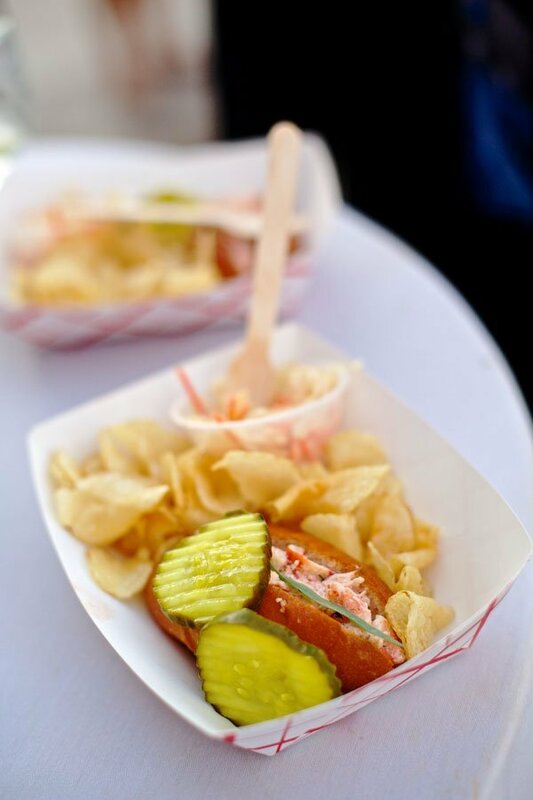 Take a look at these catering costs around the country for reference. If I had a choice between expensive wedding flowers or upgraded wedding chairs and tables, I would hands-down pick the latter. 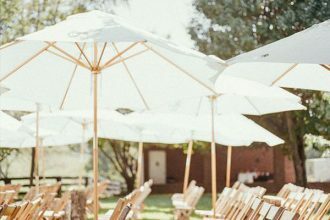 You can have all the gorgeous wedding decor in the world, but if you use plastic chairs it will stand out like a sore thumb in even the most rustic wedding venue. 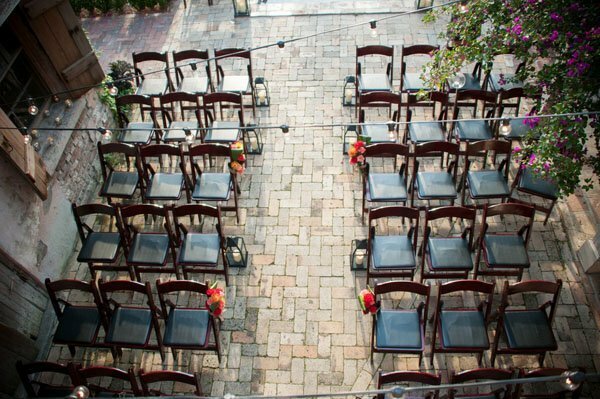 If your venue or furniture rental company has options for upgraded wedding chairs (like Chiviari) or something more unique (like benches! ), go ahead and price them out to see what the difference would be. I would also ask about different table types. 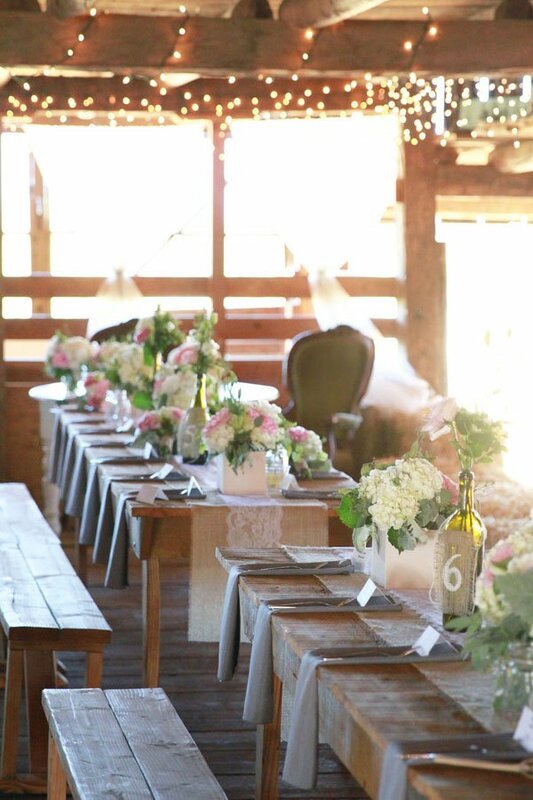 Farm tables are expensive but if you shop around and know the type you’re looking for, you can usually find a deal. Read more about how much wedding chairs cost here. 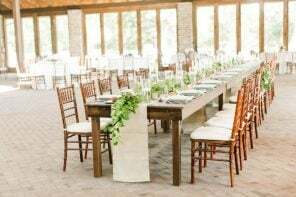 Splurge: Chair upgrades could cost you an additional $500 for a wedding of 125 people, and farm tables an additional $1,250. I would definitely NOT recommend spending a crazy amount on a wedding venue rental fee. Anything in the 5-figure range (unless it includes a ton), I start to sweat. 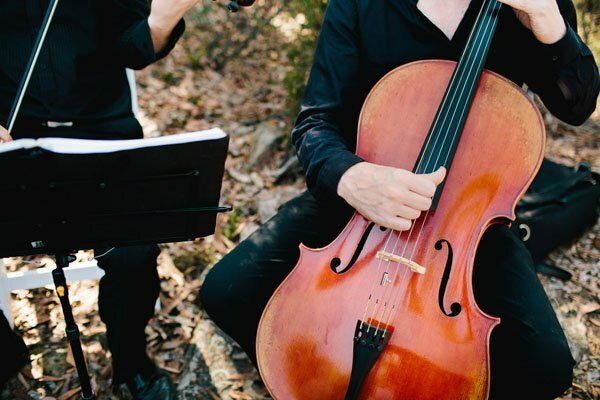 But there are a ton of gorgeous wedding venues out there that you can’t step foot into without spending $6,000, and that is worth considering if you can re-prioritize your budget and make it work. The right venue means things like wedding flowers and lighting and linens become less of an expense, and you can instead start with a gorgeous canvas that could look good even if there was nothing else in it. I’ve seen a lot of brides opt for a less expensive venue and depend on a ton of decor to spruce it up, and they end up with a bigger headache (and expense) than if they just went with the venue they really wanted. With that said I do think that if you find a wedding venue with a higher fee you should negotiate until they’re tired of you! Especially if you’re deciding between one venue vs. another. Don’t be afraid to tell them your budget and see if they can make it work. If you want to eliminate the venue fee altogether but put that money towards wedding food instead, a restaurant is an amazing option. I love that most restaurants have a lower cost right off the bat since they already provide most of the tables, chairs, serveware, and decor. Cost: Expect to pay, on average, $3,000 and up for a venue rental for at least 125 people. Two words: Sample. Sale. Where else can you find a designer wedding dress that was originally $4,000 for less than half? Or a $2,000 stunner for $800? I’d personally rather scour the racks for wedding dresses at a sample sale than limit my search to a budget wedding dress from the start. If you can’t find a sample sale wedding dress you love THEN I would start looking at my other options, but I would definitely begin your search with dreams of Marchesa still in your eyes. You never know what you’ll find!! (Like the time I found a pair of Yves Saint Laurent heels in my TJ Maxx for $50. I rest my case). 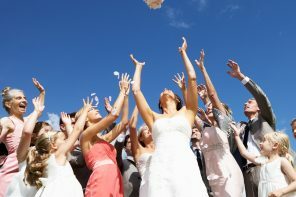 It doesn’t matter how much you have saved on any and all aspects of the reception, the flowers, the transport if the only thing you actually need to get married… The Celebrant / Officiant is a dud ! Do Not cheap out on your celebrant. The actual ceremony sets the tone for the rest of the day. I strongly recommend the bouq for diy wedding flowers. We got a personalized package that we had a ball making for less than 1500. I totally agree that the venue, the photographer and the DJ are some of the most important parts of a wedding. I recently got married and I was amazed at how well the reception turned out. I owe it all to my fantastic reception center. 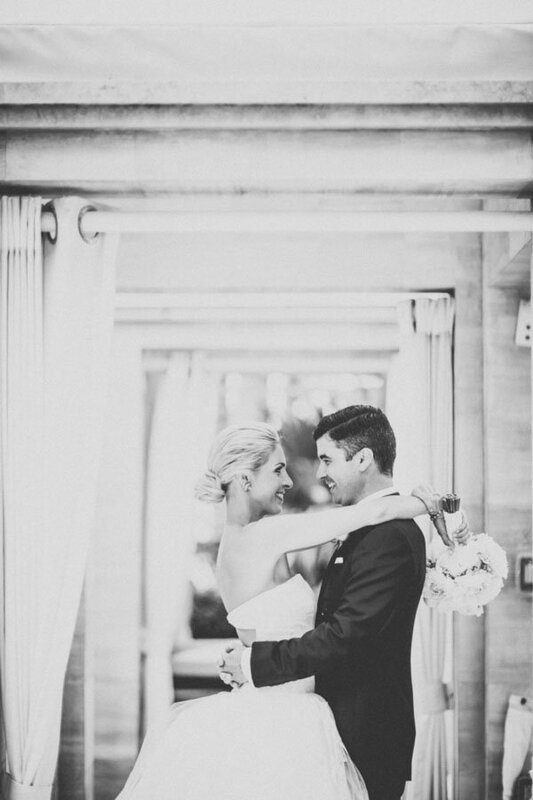 These are such great tips for anyone planning a wedding! I’m going to share them with my sister who is getting married this year. Thanks!